I have always been a big fan of choral music and harmonised singing in general. 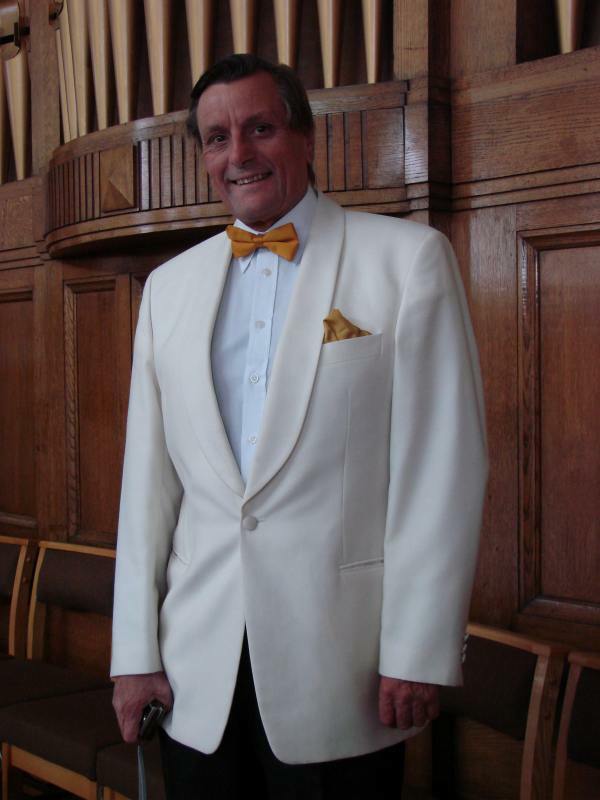 I was introduced to the church choir in Caverswall in the early 50's as a boy soprano and then gradually progressed through the alto section to join the tenors as I got older and my voice changed. I was influenced an awful lot by the four part harmony of church choir music and then into more modern harmony with my favorites of the time, The Everley Brothers and The Four Freshmen. In late 1960 I went along to sing with the Parkhall (Colliery) MVC. We practiced at Normacot Methodist Chapel and I sang as a second tenor until the September of 1961 when I went away to University in County Durham to study pharmacy. Singing in harmony with this group of men fired my enthusiasm once more and I rejoined Parkhall Male Voice Choir in 1976 again as a second tenor. In 1989 Les Tranter who had been the musical director of the choir for 28 years was unexpectedly hospitalised and I took over at the front even though I had no experience in handling an unruly group of men. I conducted the choir for three months getting the choir 'up' for an annual concert in that time until Les was able to resume his duties. However I must have done a reasonable job because at the next annual meeting I was voted in as musical director of Parkhall Male Voice Choir. Twenty three years on and I'm still waving my arms about at the front to the fifty plus that now have on our books. We have raised our profile and changed our name to become The City of Stoke on Trent Male Voice Choir. We travel widely giving concerts in Town Halls, Civic Halls, Village Halls, Churches and Nursing Homes. We travel to different parts of the UK each year taking part in joint concerts in the places that we visit. We have visited North Wales, Hull, Blackpool, Barnstaple, and best of all we sang with the Carmarthen Ladies Choir down in the hotbed of male singing - South Wales. We have performed with internationally renowned singers and have taken the choir abroad to stay and perform in Germany. I have a great bunch of men in the choir, who are encouraged, I think, by their respective ladies and the choir is administered by a super committee. My biggest thrill so far was to conduct a massed choir of some four hundred and fifty choristers drawn from local choirs singing at a charity concert to a sell out audience of 1500 at The Victoria Hall in Stoke on Trent - Wow! Pat has a long association with the Stoke-on-Trent Male Voice Choir as her father was their accompanist for many years. She remembers being in the audience for numerous annual concerts from a very early age. Pat began learning the piano and 'cello from the age of 8. She achieved grade 8 on the 'cello and played in the Staffordshire Youth Orchestra. She passed her LTCL diploma on the piano and went on to study Music and Education at Manchester Metropolitan University. Now, Pat is a busy mum of 5 and a primary school teacher in Caverswall. 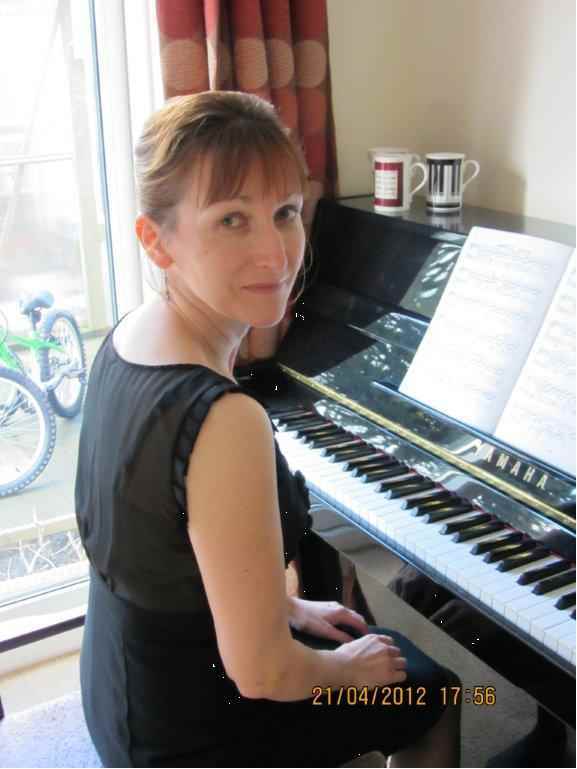 She also teaches the piano and plays the organ at St. Francis' church, Meir Heath and Holy Evangelists', Normacot.